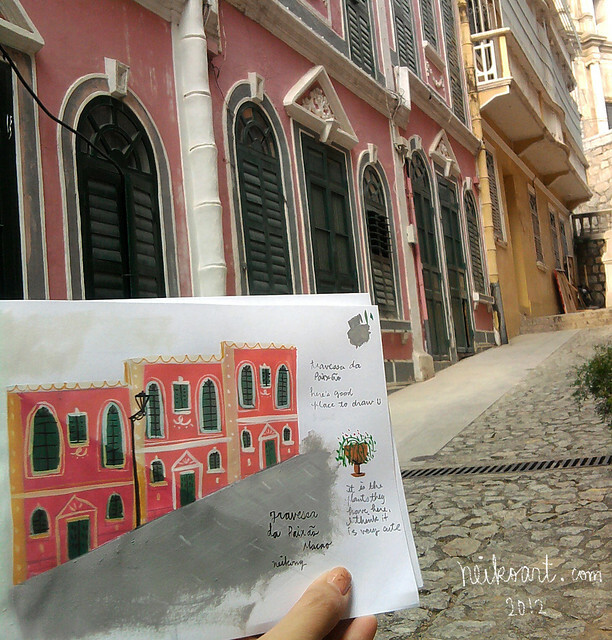 I did some small location paintings when i was in Macau a few months ago. With its unique mixture of Portuguese and Chinese cultures, its buildings are very interesting to paint. I love this little island!! However, it is not very comfortable painting in gouache outdoor....it takes a lot of times and needs a lot of space to paint :P but overall it was a good challenge! i would like to do more location painting like this in San Francisco..but San francisco is too windy and cold!!! beautiful work, neiko. lemme tag along sometime! I like those little paintings! Is it really impossible to paint outside in San Francisco? I'll be moving there in a couple of months, so I hope you are wrong... 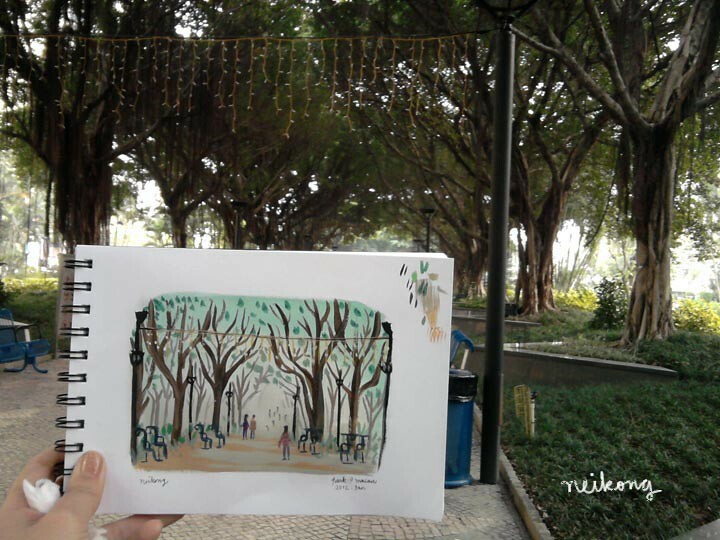 I love sketching outdoors! How fun to see the painting next to their locations! Thanks for sharing them. I love your work and how you show it next to the real place, great pics!! I like your paintings, and it is very fitting to this week's topic, great! I really enjoyed seeing your paintings with their inspiration! Great stuff!! !